Heat oven to 325°F. Brush 13x9-inch (3-quart) glass baking dish with melted butter. To remaining butter, stir in cinnamon, salt, lemon peel and honey; set aside. 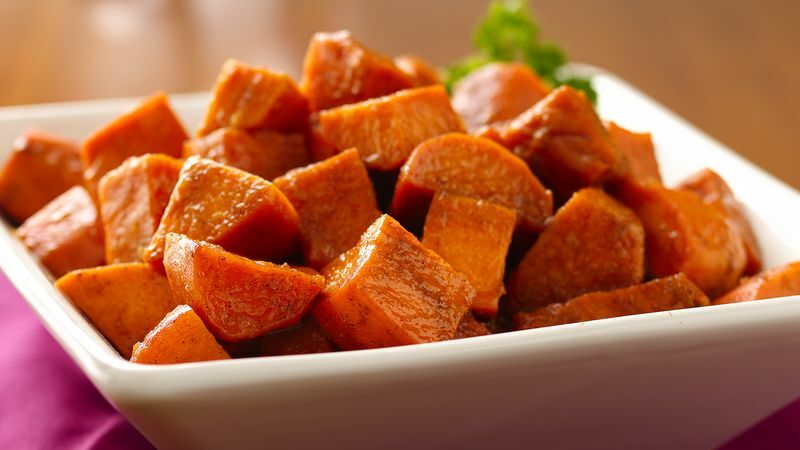 Peel sweet potatoes; cut into 1-inch chunks. Place in baking dish. Drizzle with half of the honey mixture; stir to evenly coat potatoes. Cover tightly with foil; bake 30 minutes. Remove foil; spoon remaining honey mixture on top. Recover; bake 20 to 30 minutes longer or until potatoes are tender. Love garlic? Slip 6 to 8 garlic cloves amongst the potato slices. For lemon peel, grate just the yellow rind of the lemon, not the bitter white pith, using a fine grater.